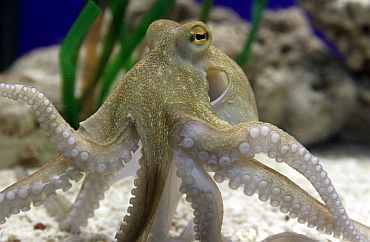 Paul, Germany's late World Cup oracle octopus, was replaced by Paul II on Wednesday -- though his owners are still unsure whether the new cephalopod has also been blessed with the gift of prophecy. "We haven't tested him yet," said a spokeswoman for the Sea Life Centre in the western German city of Oberhausen. The French-born substitute is moving into the tank previously home to the mystical mollusc who predicted the outcome of Germany's World Cup soccer campaign. Paul II was transferred to the centre in Oberhausen some weeks ago so his predecessor could instruct him in the ways of predicting the outcome of soccer matches. "The old Paul was supposed to teach him," the spokeswoman said. "But unfortunately he died before he could do that," she said. It has not yet been decided whether Paul II will be asked to predict the results of the 2012 European Football Championship. But if he does, he will have a hard act to follow -- Paul I became a global sensation for correctly predicting the outcome of eight matches during the 2010 World Cup. 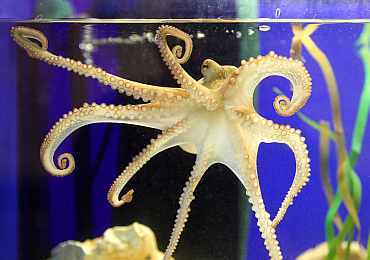 Since the clairvoyant Paul I died on Tuesday last week the Sea Life centre in Oberhausen has been inundated with good wishes and expressions of condolence. The centre plans to build a memorial for the forecasting sensation in his former exhibit, which will include a screen showing the "best and most moving moments" of Paul's life, it said. His urn will also be on public display. "This is not the normal way we deal with our sea creatures," the centre said. "But Paul was one of the most extraordinary animals we ever had. It seems appropriate to build a monument for him because he achieved such fame during his lifetime. A DVD documentary about the life of Paul I is due out soon.